If you want to sell your T37 (Why would anybody want to sell?) or buy one (Now, THAT'S understandable!) this is the place! "For Sale" entries will be maintained for a maximum of 6 months, or until the boat sells. You may also post a T37 wanted entry. These will be maintained for a maximum 3 months. To post an entry, CLICK HERE. LADY is the first Tartan 37. She was built in 1976 and is Hull #1. 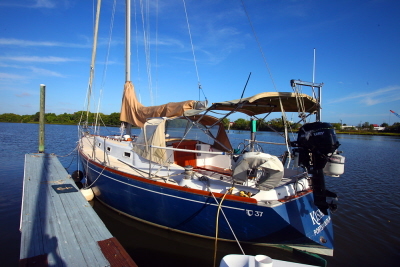 The boat is in good shape, and has been cared for by her original owner who keeps it on his property in Punta Gorda Isles and works on it daily. It is/was his passion. Extras include: Engine driven generator (5.5 KW); air conditioning; Espar diesel heater, custom 54' overbuilt rig w/double spreaders; bat car full batten mainsail; removable cutter stay with roller furling foil and drum; 14 winches on deck including 3 speed primary winches and 2 speed secondaries; a full cockpit enclosure w/both isinglass and opaque sides (for shade); only 1,586 engine hrs since a rebuild in 2008; inverter (3.5 KW) with 6 golf cart batteries (new in 2015) carrying 225 amps; 120 amp alternator; customized fridge/freezer capable of making ice; CNG stove and two tanks; microwave; fiberglass tender and removable davits; HAM radio; two VHFs, at helm and nav station; anchor is a 35 lb CQR with 300' rode (100' chain and 200' nylon); windlass; many, many extras from a lifetime of customizing. Classic S&S centerboard design in very nice condition. Please contact Jack Mahoney at 203-530-3870 or jackbmahoney@gmail.com with any questions. He can provide you with a fully detailed list including more photographs. 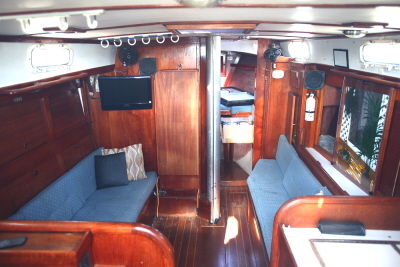 1978 tartan 37, Alwgripped hull, new batteries, 2000 watt inverter, Westerbeke 40hp diesel with 1600 hrs., 7 bags of sales, new cockpit cushions, bimini and sail cover, new hatches and ports partially installed. She's a great boat - but I've no time to enjoy her. One owner, offshore ISAF compliant (2008), ORR rated, very good condition. Many sails, spare parts, Dyer dinghy. 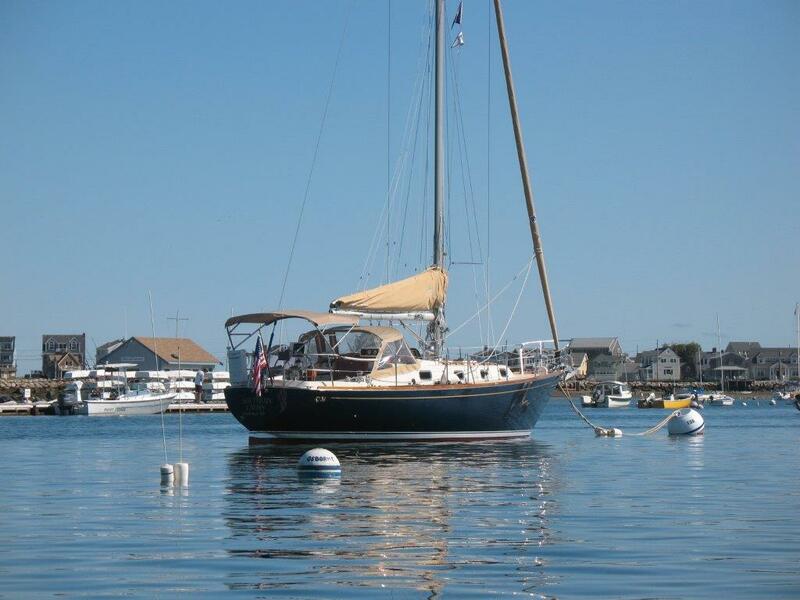 New instruments, radio, stereo, dodger, bimini, propane stove, new furling headsail, 2 yr old full batten main. Many extras. 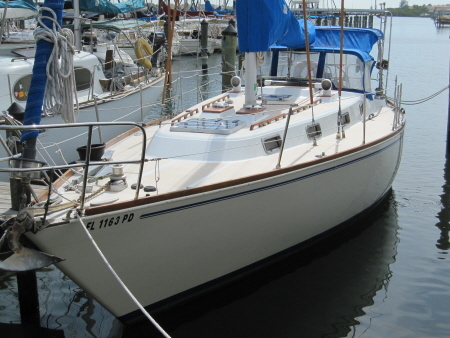 1983 Tartan 37 Centerboard in good condition. Bahamas veteran. Recent Imron paint, rigged for cruising with solar, AGM batteries, Heart Inverter charger, upgraded alternator, water catchment system, SS arch, dodger, bimini, new SS ports installed, windlass, roller furler, cruising chute, interior is excellent. Boat is located near Tampa, Florida. 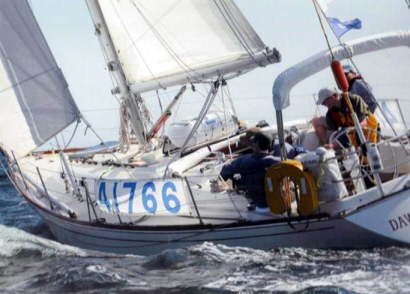 WANTED - Fin keel deep draft Tartan 37 in Seattle area.